One of the big use cases of using serverless is ETL job processing: dumping data into a database, and possibily visualizing the data. In this post, I'll go over the process step by step. We'll build a serverless ETL job service that will fetch data from a public API endpoint and dump it into an AWS Redshift database. The service will be scheduled to run every hour, and we'll visualize the data using Chart.io. At Serverless Inc., we use ETL jobs just like this for tracking metrics across an array of data points (though feel free to modify the one I'll show here to fit your own needs). Before we begin, you'll need the Serverless Framework installed with an AWS account set up. Your version of Serverless must be 1.25 or higher to take advantage of all the latest updates. Setting up AWS Redshift is out of the scope of this post, but you'll need one set up to dump data into it from our ETL job. Once you have it set up and configured, keep the cluster endpoint in Redshift handy, as we will need it later to configure the database connection string. postgres://<username>:<password>@<hostname>:<port>/<db_name> where <hostname>:<port> is the cluster endpoint. My previous projects were in Node.js, but I'm going to write this in Python because I have recently started to play with Python. And, (to the chagrin ofmy colleague Alex DeBrie I love it! But you can write this in any language you want. Next, let's install some required dependencies. Note: If you want a deeper dive on the serverless-python-requirements plugin, check out our previous post on handling Python packaging with Serverless. Let's review the above serverless.yml configuration for our service. Note: For a detailed explanation of secrets management strategies, check out our previous post on managing secrets, API keys and more with Serverless. To keep it simple, I wanted to use a free, public API without any authentication. 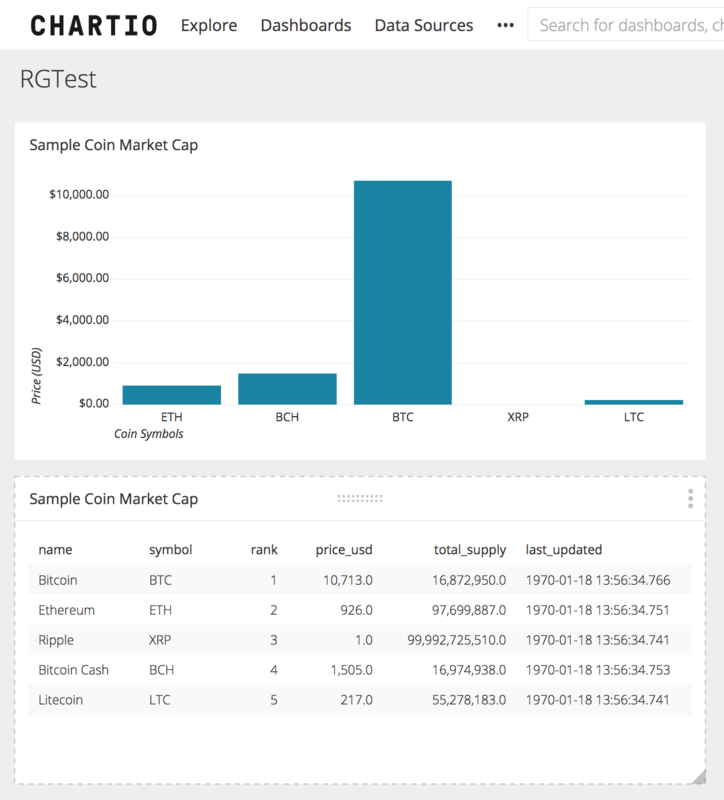 We'll be using the CoinMarketCap API. Bitcoin is in peak hype, and I thought it would be interesting to see the metrics over time. We start by importing the required libraries, and specifically we are using the SqlAlchemy library to work with postgres. The get_data() method accesses the API to fetch the data for bitcoin. The cleanup() method is a helper method to filter out only the fields from the API that we need. In the init_tables() method, we first drop the table if it exists, and then create the table, if it does not exist. We are dropping the table each time because we want to store the latest set of data every time we process. If instead you want to append data to the table, do not drop the table. Finally, the main() method brings it all together by fetching data and inserting the data into the database. You can review the full source code at the serverless-etl Github repo. Before we deploy the service, let's test the service to see if our code is functioning properly. Since we're mainly concerned with testing whether or not our API call gets us the required data correctly, we'll comment out the database-related code for now. Now that all the data we want looks good, we can deploy our service. Before we deploy, remember to uncomment the database code that we commented above. Serverless: WARNING: You provided a docker related option but dockerizePip is set to false. This will set up our ETL job service in AWS to run as per the specified schedule. In our case, the job will run every hour. We saw how easy it is to create an ETL job service in Serverless, fetch data via an API, and store it in a database like Redshift. The service can be deployed on AWS and executed based on a schedule. The cost savings of running this kind of service with serverless is huge. Redshift instances are pretty expensive; with serverless you'll only pay when the job executes. No need for dedicated infrastructure. If you have other use cases you've implemented or have any questions, please leave a comment below. I'd be happy to discuss it with you. Rupak Ganguly is an Enterprise Advocate at Serverless, Inc. When to use GraphQL, why it simplifies APIs, and how to do it Serverless-ly. Learn how to use DynamoDB streams and AWS Lambda to keep your search indexes and CRM tools up to date.